With the aim of promoting the competitiveness of African cashew and the value chain, this unique training programme brought together 88 cashew experts from nine (9) countries: Benin, Burkina Faso, Cameroun, Côte d’Ivoire, Ghana, Mozambique, Guinea, Nigeria and Sierra Leone, to share knowledge, discuss best practices and lessons learnt, and to build national and regional networks for future collaboration. These participants comprise of farmers, processors, traders. Using an approach which combines theoretical knowledge and practical work, participants learnt about the cashew value chain concept, the dynamics of the cashew market and the development of training materials in this first session. Participants also visited the largest cashew processing factory in the sub region - USIBRAS - in Prampram, Ghana. During the next two sessions which are scheduled to hold in June and September, participants will learn about all aspects of the cashew value chain ranging from production and processing of raw cashew nuts, to economics, cashew market dynamics, marketing and financing mechanisms. All sessions cover cross-cutting issues such as gender, policy development, sector regulations and nutrition value of cashew products. Participants are expected to return to their host institutions and have a multiplier effect on the cashew industry by sharing their knowledge and experiences gained from attending this tailor-made training. “The new skills that I have acquired are facilitation skills, adult training programme development, nut quality measurement, processing of nuts and management, and top working maintenance. MTP has contributed significantly to improving my performance in my workplace and my approach to developing training plan for adults.” - Lúcia Sebastiao António, Master Trainer (Graduate of 4th Edition of MTP), Senior Technician, National Institute of Cashew (INCAJU). Rolled out in seven months, each edition of MTP is divided into three successive sessions to be held in Ghana and Côte d'Ivoire. The period between these sessions are used for so called “inter-sessions”, where participants return to their host institutions to conduct field work, either individually or in groups, to deepen their knowledge on a selected topic. At the end of the third session, participants become certified and acknowledged cashew experts, who train farmers, provide assistance to processors, or advice institutions in their respective countries. So far 456 cashew experts, 27% of whom are women, have graduated from this programme. Some 273 experts are expected to benefit from this year’s three editions. These experts are expected to drive the desired change in the African cashew sector, in terms of improved cashew quality, quantity and better sector policies. After nine years’ intervention in December 2018, cashew production has led to the creation of nearly 400,000 jobs in the six intervention countries of GIZ/ComCashew: Benin, Burkina Faso, Côte d’Ivoire, Ghana, Mozambique and Sierra Leone. Youth are mostly employed in grafting and as labour for Good Agricultural Practice. Women are mainly present in harvest and post-harvest activities, making 40% of created jobs. In 2018, cashew processing led to the creation of 39,284 directs jobs. At this point, women and youth of less than 35 years old are mostly found in cracking, peeling, cleaning, grading and sorting jobs. Youth are also employed as machine operators. These positions do not reflect the potential of what the sector can offer these two categories of the population. Indeed, the cashew sector is filled with direct and indirect, existing and potential job opportunities for women and youth. These opportunities are often not well-known, insufficiently explored, developed or explored. Concerned by this, GIZ/ComCashew invited direct actors, partners and other stakeholders, as well as other GIZ Projects to a reflection workshop under the topic “Women and Youth employment in the cashew sector”. 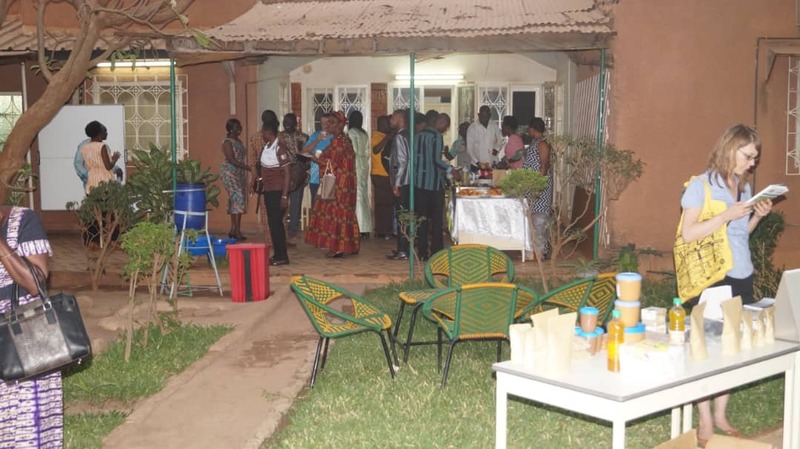 This took place on Wednesday 13th March 2019, at the GIZ/ComCashew Regional Office in Ouagadougou. Present were the GIZ/Burkina Faso Country Director and GIZ/ComCashew Executive Director. Business models in the sector and their profitability. Impact on rural-urban migration; a change of mindset, to accept that they can blossom and succeed in their environment without moving to urban areas, or even planning on emigrating, sometimes through illegal and dangerous means. Professional and social identity for vulnerable groups. A means of promoting expertise/capabilities. In summary, these jobs opportunities if well exploited, remain a motor to the economic and social development of women and youth. Another specific activity of this meeting was an exhibition market organised by GIZ/ComCashew. Booth was made available to Gender Focal Points of direct actors, partners and other GIZ Project & Programmes. They presented their achievements, strategies and perspectives of gender mainstreaming in their various organisations. It was an interactive experience sharing session. REACH is part of the EU-Ghana National Indicative Programme “Productive Investment for Agriculture in Savannah Ecological Zones”, and is funded through the 11th European Development Fund. The broad EU programme aims to increase agricultural incomes and promote inclusive and sustainable economic growth in rural communities of the Programme Area by 2024. It is composed of three projects: the Market-Oriented Agriculture Program (MOAP), implemented by the Deutsche Gesellschaft für Internationale Zusammenarbeit (GIZ) GmbH; the Infrastructure project, implemented by the World Bank and the Agence française de développement (AFD); and the “Resilience Against Climate Change” (REACH) Project implemented by GIZ/ComCashew. The objective of EU REACH is to enable a sustainable and inclusive improvement in the rural economy through enhanced implementation of gender-sensitive climate adaptation and mitigation practices in a minimum of 200 communities within 14 districts of the Savannah Ecological Zone. The project comprises three components that will be realized until the end of 2024. The first component will focus on improving the MMDA capacities on Strategic Environmental Assessment (SEA) in collaboration with the Environmental Protection Agency (EPA). Under the second component, the project will facilitate the development of Community Action Plans (CAPs) and further support their implementation by providing a funding mechanism. Additionally, it will contribute to the set-up of a “Training and Extension of Conservation Agriculture in the Savannahs” (TECAS) facility which aims to increase profitability of agribusinesses by offering services that enable conservation agriculture practices. Both components will work in collaboration with the Ministry of Local Government and Rural Development (MLRGD). This will be aligned with the third component of research on social transformation, that will contribute to a better understanding and application of social transformation analysis in the development planning. The REACH project therefore contributes to improved, profound sustainable planning on land uses, economic activities and respective capacities required for a wide-range of stakeholders in Northern Ghana. REACH will be implemented by the following organisations: Competitive Cashew initiative – GIZ/ComCashew, a private-public partnership project of GIZ with funding of the German Ministry for Economic Development and Cooperation (BMZ) and the Swiss State Secretariat for Economic Affairs (SECO) , promoting the competitiveness of the Cashew value chain in six countries. In collaboration and joint funding with private companies and public sector partners, significant impact has been made for over 40,000 farmers and 14 processing companies. Since its inception in 2009, over 50,000 new jobs have been created in Ghana in production and processing (4,500). Recently, through the MLGRD “Planting for Export and Rural Development” (PERD), ComCashew enacted on agricultural decentralization by contributing to improved planting material development and job creation in the cashew sector of Northern Ghana. IWMI in collaboration with CSIR-STEPRI, UG and UDS will implement the Social Transformation Research component that will address climate resilience, migration, gender and youth in Ghana. IWMI is anon-proﬁt,scientiﬁc researchorganization focusingonthesustainableuseof water andland resourcesindeveloping countries. It’s research in Ghana has encompassed the three thematic areas of strengthening rural-urban linkages, promoting sustainable growth and building resilience. IWMI works with public and private sectors, to develop and test technological, institutional and business innovations that enable safe recovery and reuse of water, nutrients and organic matter for food and energy production. Moreover, IWMI research untangles the technical, economic, social, financial and institutional impediments to the expansion of agricultural water infrastructure and especially on how men, women, and youths could be included in their management and decision making process; irrigation in Ghana and how it can better enhance rural livelihoods under the variable and changing climate context. 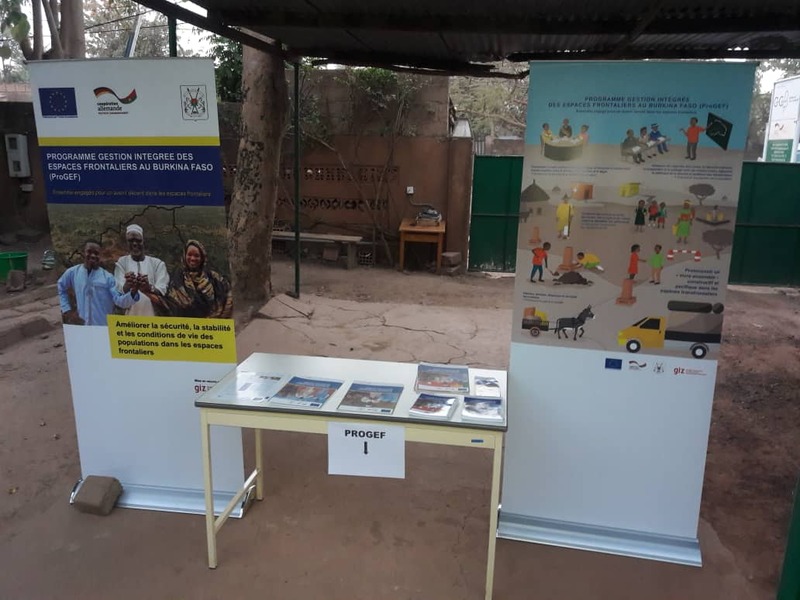 From March 7-8 2019, ComCashew, in collaboration with Solidaridad and the African Cashew Alliance (ACA), successfully hosted the first edition of Access to Finance Workshop. The Access to Finance Workshop aims to bring actors in the agricultural sector, particularly cashew and oil palm, together with finance sector actors to network and work towards creating innovative financing solutions for local agribusinesses. The event was held at the Mensvic Grand Hotel in East Legon, Accra, under the theme; ‘the role of financial institutions in the Agricultural sector’. The Opening Ceremony had speeches from representatives from the Ministries of Food and Agriculture, Trade and Industry, and Local Government and Rural Development. Also present were the Deputy Head of Cooperation/Counsellor of the Swiss Cooperation, the President of the Association of Cashew processors, the Ambassador of the Kingdom of the Netherlands, the President of the Oil Palm Association, and The Executive Director of Competitive Cashew Initiative (ComCashew), and members of the press. 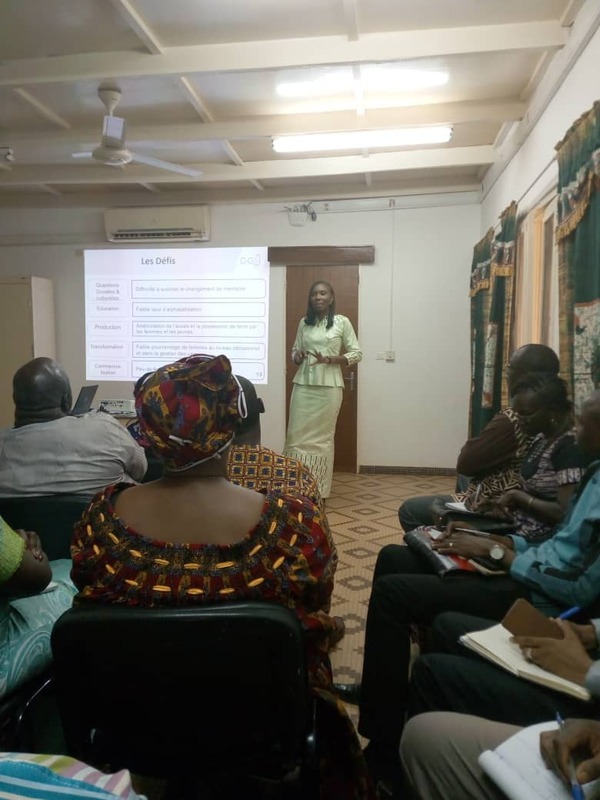 Presentations on the challenges and the opportunities in investing in the cashew and oil palm processors, were given by Mary Adzanyo, Director of Private Sector Development, ComCashew, and Samuel Avaala of Benso Oil Palm Processing (BOPP), respectively. This was followed by a panel discussion on how financial institutions can improve agribusiness. Panel Members shared their experiences with accessing finance for their factories, what has worked and the lessons they have learned along the way. The second day of the Access to Finance Workshop saw presentations from four financial institutions – Injaro Investments, Oiko Credit, Wangara Green Ventures and MBC Africa – on innovative financing solutions for agribusinesses. A “B-to-B” business linkage round table followed, during which the agribusinesses and financial institutions present were free to interact and network. At the end of the forum, it was clear that both agribusinesses and financial institutions have a lot of learning to do, in order to build a stronger relationship. For agribusinesses, there is a need to level up in terms of professionalism and accountability. This requires self-reflection, structured planning and a clear understanding of their businesses. Actors in the finance sector also need to be open to learning and understanding the agricultural sector; its risks and potential. The Access to Finance workshop formspart of an ongoing process to promote the development and expansion of the business of Cashew and Oil Palm processors within Ghana. Processors have previously been taken through human development and capacity building workshops, which helped in shaping and conceptualizing their business models into business plans and proposals.Based on the outcome of the forum ComCashew, Solidaridad and the African Cashew Alliance will continue to guide participants to eventually secure suitable and long-term funding needed for business expansion and development. On this international women’s day 2019, GIZ/ ComCashew celebrates the success and impact that women have made in the African cashew sector, despite all odds. One of such women is Minata Kone, the founder of SOTRIA-B, a cashew processing factory in Banfora, Burkina Faso. Minata Kone’s life has not been without struggle. After losing her father at the age of 8, she had to work to help her mother provide the family’s needs. She would engage in petty trading every day after school to earn some money. With determination, she pursued formal education, ending up with a Master’s degree in Technology. She went on to work at the Ministry of Agriculture as an archivist. After 15 years of service, Minata decided, with encouragement from her mother, to go into cashew processing. 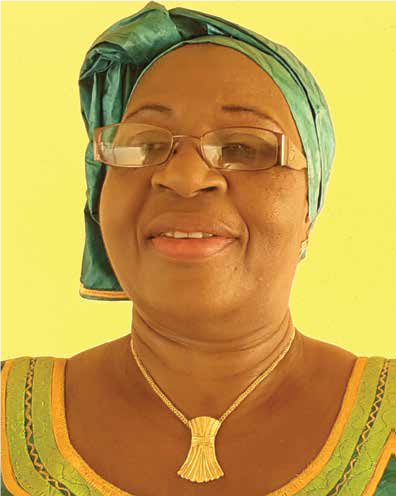 In 2003, she established the Industrial Cashew Processing Society in Burkina Faso (SOTRIA-B), specializing in raw cashew nuts processing into white kernel, cashew butter and cashew flour. SOTRIA-B was the first Burkinabe private enterprise specializing in cashew processing, and is the longest surviving cashew processing factory in Burkina Faso. It has an installed capacity of 2500 metric tons, with daily production capacity at 2 tonnes. SOTRIA-B currently employs over 300 people, 90% of whom are women. Today, Minata’s products are exported exclusively to the American market, with further distribution across the world. In the early stages of her business, Minata had to go through the tough transition from archivist to industrialist, which required she learn the necessary skills for a successful business. One of her motivations for joining the cashew business was also to generate employment for women, and so she had to ensure she did the right things to provide stable employment for women. She had no formal training in cashew, nor any women mentors in the sector, so she had to travel to factories in around the world to educate herself on cashew production and processing. She is grateful for the experience now, because she discovered that travel is the best teacher. In keeping true to her motivations, a majority of employees in her enterprise are women. Apart from remuneration, SOTRIA-B offers benefits like access to bank loans, an infirmary, a day care centre for working mothers, financial support for school supplies, and a literacy center for adult education. Minata strongly believes that trusting women and providing them with necessary funding for their business will help improve women’s lives. She is of the opinion that although women are often pioneers, they hardly become leaders because lower access to opportunities. With 16 years of experience and commitment in this field, it is a moment of pride to witness her hard work pay off. She credits her success to the passion and commitment she has demonstrated over the years, as well as a permanent and stable workforce. She is involved at all levels of the job, which includes purchasing of RCN/Kernel, processing and operation monitoring, marketing and negotiation with kernel buyers, technology selection as well as financial transaction with banks. Minata has been awarded a national honor, the Medal of the National Order, for her contributions to the social-economic development of Burkina Faso. She was also recently elected as President of the Inter-professional body of Burkina Faso, as well as Member of the Executive Committee of the African Cashew Alliance (ACA). Minata Kone is a modern entrepreneur who is always looking to improve her business. She hopes to run a higher growth company in the coming years. A symbol for courage, strength and success, Mrs Kone’s story can serve as a motivation to all women aspiring to a career in the cashew industry. The BMZ selected Cashew as its main value chain for the fair because of its remarkable success story. In the past ten years, through the activities of GIZ’s Competitive Cashew initiative project and its public and private partners, more than 530,000 new jobs have been created in Africa by promoting of a competitive African Cashew sector. Founded in Berlin in the Golden 20s (1926), IGW is a one-of-a-kind international exhibition of the food, agriculture and gardening industries. It is the largest agricultural trade fair in the world, with over 400,000 international and national visitors. This provided the BMZ a platform to engage the thousands of visitors at the fair on topics of sustainable and fair consumption as well as to remind the general public especially the trade fair visitors about their responsibility for ONEWORLD without hunger. For the fourth time in a row, the BMZ maintained its goal of "ONE World without Hunger" until 2030, using the slogan; "I want fair", which sort to encourage German citizens to make a personal contribution to improving the living situation in Africa by purchasing fair-trade products. “All too often, our prosperity still comes at the expense of people in developing countries. Cashew, coffee, cocoa, the cotton in our shirts or metals in our electronic devices – many everyday products are made in intolerable conditions or using exploitative child labour. It’s also a wake-up call for consumers: buy carefully. When you take your first bite of chocolate, you should be aware whether children have had to graft in West African cocoa plantations to make it” German Development Minister Gerd Müller emphasises. In many African countries, the cashew tree is seen as a "miracle plant" because of the enormous potential the tree possesses. The tree among other things; adapts to climate change and grows in places where most plants can no longer grow, It offers small farmers a future-oriented source of income. Additionally, if all cashews grown in Africa were also processed locally, a further 400,000 jobs could be created.